No place shows the effects of aging like the skin. Damage from the sun, lines, redness, and blotchy skin are all evidence of the passage of time. But now there’s a treatment that can address these problems, quickly and safely. Ask Dr. Kajal Roy, MD, at Niyan Medspa about Intense Pulsed Light (IPL™) photofacial/fotofacial to eliminate these signs of aging. Call her office in Ashburn, Virginia, or book a consultation online today. A photofacial, also referred to as a fotofacial, is a procedure that makes use of intense bursts of light to go deeply into the skin. The light stimulates collagen production, a natural protein that helps fill in lines and reduce redness. Photofacials can be used to treat fine lines, sun damage, acne, and rosacea. It usually results in an evener skin tone and brighter-looking skin. Depending on the severity of the symptoms, between one and three treatments may be needed. Who is a good candidate for a photofacial? People with white, untanned skin that still has elasticity tend to be the best candidates for this procedure. The reason people with darker skin may want to opt for another treatment is that photofacials can change the pigmentation of the skin. Discuss this issue with Dr. Roy to determine whether this approach is right for you. Before treatment begins, Dr. Roy places protective eyewear on your eyes to shield them from the light. Using a handpiece, she then sends bursts of light to the designated area. The number of bursts you receive depends on how large the treatment area. During the procedure, you may feel a sensation of heat similar to a snap of a rubber band. The treatment lasts between 30 minutes and an hour. Then the area will be iced to cool it down. Because the treatment is minimally invasive, the recovery time is short. You can resume your normal activities right away, although the area may be red for a few hours following treatment. The redness may last longer for patients treated for severe acne. It’s important to stay out of the sun for a few weeks following a photofacial. Also, some people may need multiple treatments for optimal results. But rest assured that the effects of the photofacial can last for a year or more. 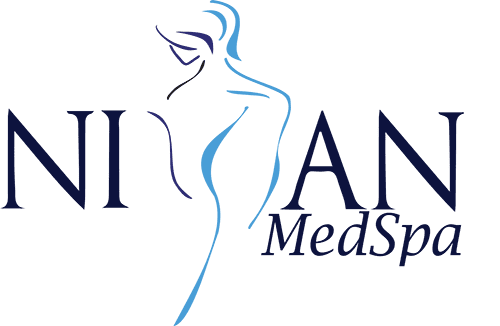 If this approach sounds right for you, contact Dr. Kajal Roy at Niyan Medspa in Ashburn, Virginia. Call or book an appointment online today.